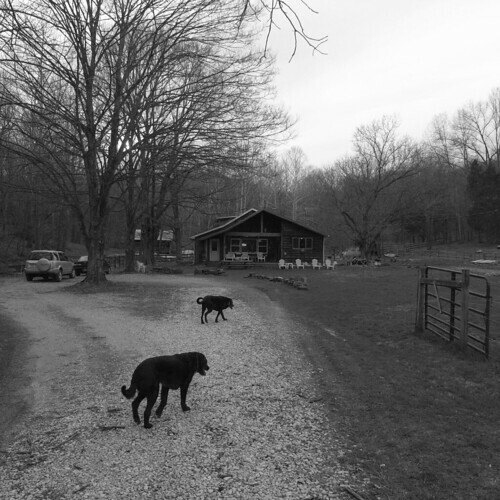 Two Labs and a Log Cabin, originally uploaded by Eric Jeschke. Nice. Looks like a great place to kick back and watch the sun come up or set. I enjoy rustic getaways but the wife likes things a bit more upscale. She usually wins! It sure was relaxing. Not our place, but a friend’s in southern Indiana. 100 year old + log cabin and 40 acres with horses. Our kids enjoyed a pony ride. Signs of spring were everywhere.